Home Buying is an exciting step, but where do you begin? How do you buy the right home for you? 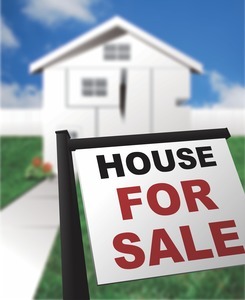 For those interested in learning about the steps to purchasing a home, the Danbury Library, in partnership with Compass Property Inspections, will offer a free program “The Home Buying Experience: Be in the know” on Saturday, February 2 from 10:30am to noon. The program will be held in the Library's Farioly Program Room. Compass Property Inspections has invited three licensed professionals to talk about the 3 major aspects of home buying: lending, real estate and home inspection. The speakers representing the topics will be Luis Lopez from AFC Mortgage Group, Britta Pederson from Dream House Realty, and Tom Allen from Compass Property Inspections. Audience members will be guided through the process of home buying to qualify, find, and ensure the safety of a new home. The program is free of charge. Registration is required online at danburylibrary.org, click on “View Calendar” or call 203.797.4505, ext. 7730. In the event of inclement weather, the program would be held on Saturday, February 23. Registrants would be notified by e-mail if there is a date change. For more information contact the Community Relations Department at 203-797-4505, ext. 7730. The Danbury Library is located at 170 Main Street, Danbury, CT.